Cogne, Valle d'Aosta, is the main village of the homonymous valley, a typical holiday destination for tourists from Lombardy and Piedmont. Cogne is at the foot of several peaks between 3000 and 4000 meters including the most famous Gran Paradiso massif. The inhabitants of Cogne are Franco-native speakers. The town is frequented by tourists in winter (the skiing slopes of Cogne are renowned) as well as during the summer, for hiking and walking trails in the protected area of the Park of Gran Paradiso: for this reason Cogne hotels are open all year. 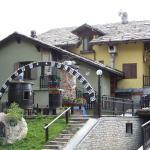 3-star hotels in Cogne offer excellent cuisine with typical dishes of Valle d'Aosta. Select travel dates and find all available hotels in Cogne, check out guests reviews and locate properties on Cogne city maps, book your favourite accommodation with no pre-payment. All rates are in Euros and inclusive of all taxes. 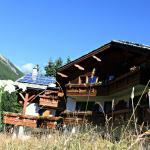 The Miramonti is ideal for those who want to stay in the mountains, a short distance from the center of Cogne. 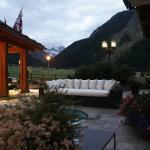 The rooms have panoramic views of the Alps, and are furnished with antiques. Résidence Château Royal is just 19 km from the motorway A5 Turin-Aosta. The lifts of Cogne are located 900 meters away and the hotel offers a free ski bus in winter. The Hotel Du Grand Paradis & spa is a lovely 3 star hotel in the village of Cogne, on the edge of the Gran Paradiso National Park. It offers free wi-fi access and a convenient parking. 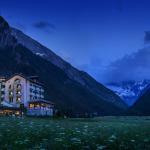 The Belvedere Hotel is located in the heart of Valle d'Aosta, near Cogne. The nearest ski slopes are just a few kilometers away. From here you can enjoy breathtaking views of Mount Gran Paradiso and Mont Blanc.